The Northern Territory’s population is the nation’s youngest, at a median age of just 31.3 years, but also the smallest with just over 235 000 people living and working in this vast expanse of land. The population includes a diversity of more than 100 nationalities who share their cultures. Due to the Northern Territory’s proximity to Asia, Asian influences are very predominant. Darwin is closer to Asia than to any of Australia’s major capital cities. Due to this proximity, the Northern Territory has developed strong diplomatic, cultural and economic ties with South-East Asia. Successive governments have capitalised on trading benefits by promoting the Northern Territory as Australia’s ‘Gateway to Asia’. Indigenous people represent a quarter of the population and have a strong influence on the region’s culture. The Northern Territory’s vibrant economic growth and a raft of multi-million and multi-billion dollar developments position the region as one of Australia’s fastest-growing. UTS Insearch is the pathway to the University of Technology Sydney (UTS). It offers Academic English courses, a pre-university UTS Foundation Studies program, and higher education programs in business, communication, design, architecture, engineering, IT and science. After completing a UTS Insearch diploma, depending on the course chosen, students can fast track into the second year of a bachelor degree at UTS. UTS Insearch has long-standing ties with Indonesia and the Asia-Pacific. UTS Insearch has partnered with the Kompas Gramedia to establish a series of English language centres, with UTS Insearch – GRAMEDIA English Centres offering the world-leading UTS Insearch Academic English curriculum to students in Jakarta. In 2015, UTS Insearch and UniSadhuGuna International Education launched a partnership for UIC College to offer UTS Insearch’s Diploma of Business and Diploma of Engineering in Indonesia. Students can begin their studies at UIC College in Jakarta, and upon successful completion, go directly to the second year at UTS in Sydney. “Deloitte” is the brand under which tens of thousands of dedicated professionals in independent firms throughout the world collaborate to provide audit, consulting, financial advisory, risk advisory, tax and related services to select clients. Deloitte has more than 263,900 professionals at member firms delivering services in audit & assurance, tax, consulting, financial advisory, risk advisory, and related services in more than 150 countries and territories. Revenues for fiscal year 2017 were US$38.8 billion. The Australia-Indonesia Centre was established in 2014 as a joint initiative of the Australian and Indonesian governments. Based at Monash University, the Centre is a consortium of eleven highly respected research institutions. In Australia, the Centre is defined by the standing of the Australian National University, Monash University, the University of Melbourne and the University of Sydney and is supported through federal funding from the Department of Foreign Affairs and Trade and the Department of Education and Training. In Indonesia, the partners are the Institut Pertanian Bogor, Institut Teknologi Bandung, Institut Teknologi Sepuluh Nopember, Universitas Airlangga, Universitas Hasanuddin, Universitas Gadjah Mada and Universitas Indonesia, with support coming from the Department for Research, Technology and Higher Education (RISTEK-DIKTI). The Centre’s primary corporate partners are the Pratt Foundation, PwC and ANZ. The Centre aims to be facilitator of multi-stakeholder collaboration between Australia and Indonesia to generate high-impact research and activities. 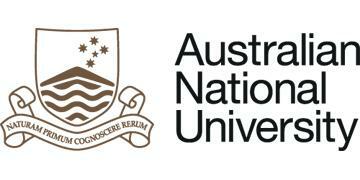 Established in 1946, The Australian National University is one of Australia’s leading research and teaching universities. The ANU College of Asia and the Pacific houses a remarkable assembly of scholars and resources devoted to the study of Australia’s neighbourhood. Dedicated to outstanding research and education, the College is a centre for Australia’s intellectual engagement and scholarly dialogue with the societies, worlds of thought, economies and cultures of Asia and the Pacific, including Indonesia. Through the Indonesia Project, it analyses recent economic developments in Indonesia; informs Australian governments, business, and the wider community about those developments; and stimulates research on Indonesia. The College teaches Indonesian culture, history and language through the Island Southeast Asia Centre, which also gives students in-country experience in Indonesia through the year in Asia program. 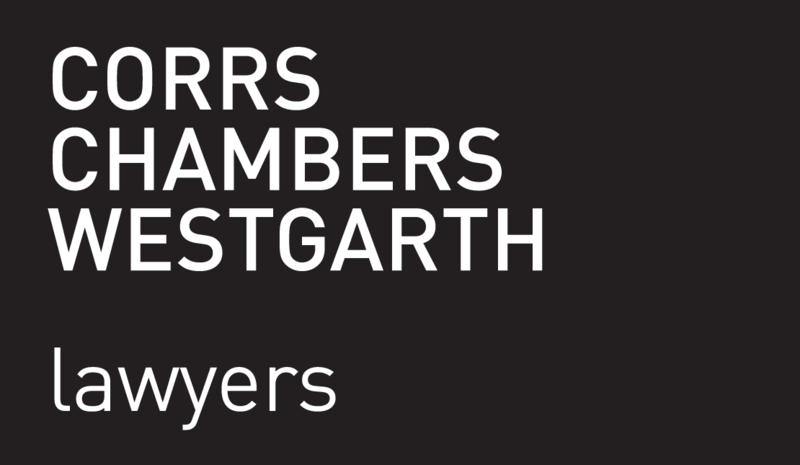 Corrs Chambers Westgarth is an independent, client driven legal partnership. Corrs is the most globally connected law firm based in Australia with pioneering partnering networks in Asia–Pacific and globally. They are recognised as a leader in the market for the quality of their advice and commercial outcomes achieved for clients. Corrs has a strong history spanning more than 175 years but is firmly focussed on creating opportunities for our clients in the rapidly changing business landscape of today and tomorrow. Corrs is led by Chief Executive Officer, John W.H. Denton AO and Chairman, Stephen Price. Previously known as the AIYA - East Nusa Tenggara Chapter from 2014-2017, this newest AIYA chapter has recently expanded to cover the broader Easter Indonesia area, meaning that AIYA has a presence in both Kupang, West Timor and Makassar, South Sulawesi. This change comes after AIYA received calls to establish a chapter in South Sulawesi thanks to the opening of a new Australian Consulate General in the city and a recent Australia-Indonesia Youth Exchange Program (AIYEP) being held in Makassar. AIYA hopes that this expansion will provide Eastern Indonesians and Australians with a stronger platform to engage with one another in the future. AIYA hopes to build a strong network of students, volunteers and young professionals who can encourage, learn from and support one another to become the next generation of leaders in the Australia-Indonesia relationship. The Makassar branch of the AIYA Eastern Indonesia chapter is providing logistical support to the CAUSINDY team prior to and during the 2018 conference. The Australian Consulate-General in Makassar was officially opened by Australia’s Minister for Foreign Affairs, the Hon Julie Bishop MP, on Tuesday 22 March 2016. The Consulate-General promotes business, education, people-to-people and cultural links between Australia and Eastern Indonesia. The Consulate-General also provides consular and passport services to Australian citizens in eleven provinces in Eastern Indonesia: South Sulawesi, Southeast Sulawesi, West Sulawesi, Central Sulawesi, Gorontalo, North Sulawesi, East Nusa Tenggara, Maluku, North Maluku, West Papua and Papua. The Consulate-General develops and maintains a range of networks, drawing on the existing skills, knowledge and experiences of people from both countries. They see great potential for building stronger trade and investment links, strengthening connections between schools and educational institutions in Eastern Indonesia and Australia, drawing on researcher and academic experiences, and further expanding its growing alumni groups. The Conversation is an independent source of news and views, sourced from the academic and research community and delivered direct to the public. Its professional editors work with university, CSIRO and research institute experts to unlock their knowledge for use by the wider public. Access to independent, high-quality, authenticated, explanatory journalism underpins a functioning democracy. The aim of The Conversation is to allow for better understanding of current affairs and complex issues. And hopefully allow for a better quality of public discourse and conversations. Asian Correspondent is a regional online news portal that strives to make sense of the people, policies and politics powering Asian economies. Owned by UK-based digital publisher Hybrid, it's a publication for the global citizen - discerning consumers of media who are educated, upwardly mobile and both politically and socially aware. By seeking answers to the important questions, our collective of storytellers provide readers with real snapshots of the changing landscape in which they live, insights on what's causing these changes and opinions on how best to prepare for them. The city itself has a long trade and maritime history, and has been considered the centre of trade in Eastern Indonesia since the 16th century. The current mayor is Ir. H. Moh. Ramdhan Pomanto, and the deputy mayor is Dr. Syamsu Rizal. SecondMuse is a collaboration agency that works with visionary cities, governments, organisations and startups to create 21st century economy. From Brooklyn to Bali, our programs build sustainable businesses, strong networks and informed, intimate communities simultaneously. In Indonesia, SecondMuse is building a community-sourced incubator, leveraging multi-stakeholder partnership in creating sustainable ecosystem. With grants from DFAT, we are here to help Indonesia in solving global complex problems by convening different stakeholders and fostering innovation in our target sectors. Aligned with the CAUSINDY 2018 theme, we have been working on the fisheries sector since early 2018, particularly in Bali area. Through our pilot, Seafood Innovation Project, we accelerate ideas to foster sustainable wild catch fishing and fish farming practices, build network to support the solutions, and push market demand for sustainable seafood. Universitas Hasanuddin (UNHAS) is the largest university in eastern Indonesia, and one of the country's most highly-regarded tertiary institutions. Established in 1956, the university is named after the former King of the Gowa Kingdom, Sultan Hasanuddin. The UNHAS vision is to become a centre of excellence for Indonesian maritime-based development of humanity, sciences, technology, arts and cultures. Today, the university offers a broad range of internationally-recognised courses at undergraduate and postgraduate levels. UNHAS has also partnered with a number of Australian universities. Aside from its urban campus in Makassar, UNHAS is renowned for its environmentally friendly 'green' campuses in Tamalanrea and Gowa. Youthful.social is a social movement initiated by young Indonesians, focused on youth empowerment and social contribution. Youthful.social provides a platform for young people to increase their potential, supporting them to develop interpersonal skills, and encouraging them to become involved and contribute to society. 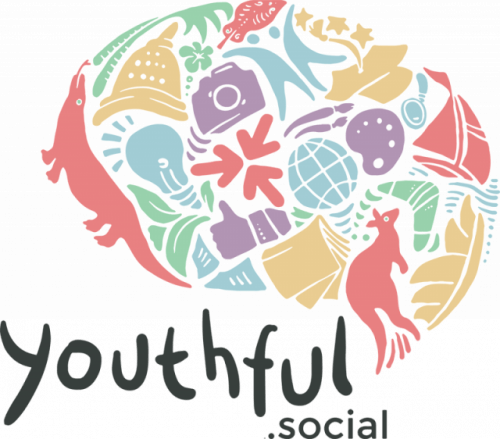 Founded by AIYEP alumnae in 2016, Youthful.social is a platform to promote the Australia-Indonesia relationship through social media and satellite events in 12 provinces. The platform was initially created by establishing the website and social media which have been promoted by the youth community through various kinds of events such as seminars, talk shows, workshops, art performances and a youth exhibition in 2016. Youthful.social received a DFAT Small Grant Program in 2016 and supported a women’s empowerment project in Lampung called "Empowomen", which was funded by an Alumni Grant Scheme in 2017. Currently, Youthful.social is collaborating with the Ministry of Youth and Sport to conduct an ASEAN Youth Expo about green-entrepreneurs in Jakarta.